1. 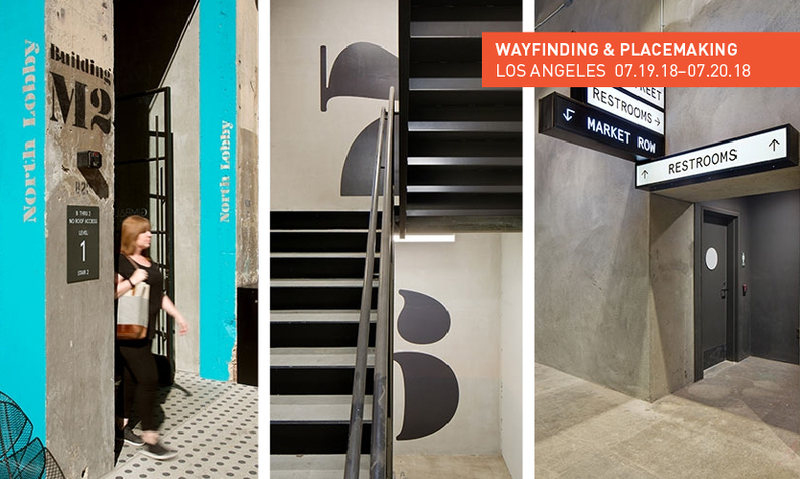 Wayfinding and placemaking are the heart of experiential graphic design practice. 3. It’s star-studded, fabulous, design-friendly, sunny and palm tree-lined Los Angeles! Start your morning at 10 am, with a choice of "LA Metro Placemaking Experience" with Lance Glover, LA Metro Arts & Design or "USC Campus Wayfinding Experience" with Clint Woesner from Linespace. Not a morning (tour) person? Try "Wilshire Grand Wayfinding Experience" with Robin Perkins, FSEGD and Cheri Devlin of Selbert Perkins Design with Mark Andreasson of DCL or "ROW DTLA Placemaking Experience" (a 2018 Global Design Award-winning project!) with Erin Williams, Jakub Tejchman and Brend Jacobson from Rios Clementi Hale Studios at 2 pm. Is digital more your scene? We’ve got that covered, too, with the "DTLA Digital Placemaking Experience" featuring digital facade media installations by Standard Vision at Marriott LA Live, Metropolis, Wilshire Grand and Circa. *Bonus points for anyone who maximizes their day by doing three tours! 5. SEGD’s been listening to you (in a non-creepy way). Because we continually integrate attendee feedback, the SEGD Wayfinding event has grown a whopping 281 percent since 2015. This year, the Wayfinding & Placemaking Event will be even bigger and better. 6. The topics and discussions you want. 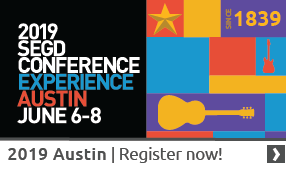 You’ll be discussing best practices and examining wayfinding and placemaking case studies addressing campuses, regional projects, global methodologies and transportation innovations. It is a lot, but you’ll get some of both the broad strokes and the nitty-gritty details. 7. It will be a 13-in-1, local and international who’s who. 8. Hit the networking sweet spot. You'll have the perfect amount of time during networking breaks, tours and at the Los Angeles Chapter Mixer on July 19 to chat with peers, vendors and friends old and new. Who doesn’t like making new friends? 9. The last session is totally new and completely Los Angeles. The session, in the style of Pecha Kucha, is called 20x20: LA EGD. If that isn’t enough to convince you, an impressive five speakers from three generations and four Los Angeles offices will present. 10. This is your golden opportunity to level up. Learn from leaders in the industry, network with fellow design professionals and return home empowered and inspired to take your work to the next level. Join us this year in Los Angeles to discuss and discover urban, regional, workplace, campus and transportation wayfinding and placemaking design. You don’t want to miss this! Capacity at this popular workshop is limited; save your seat by registering today!